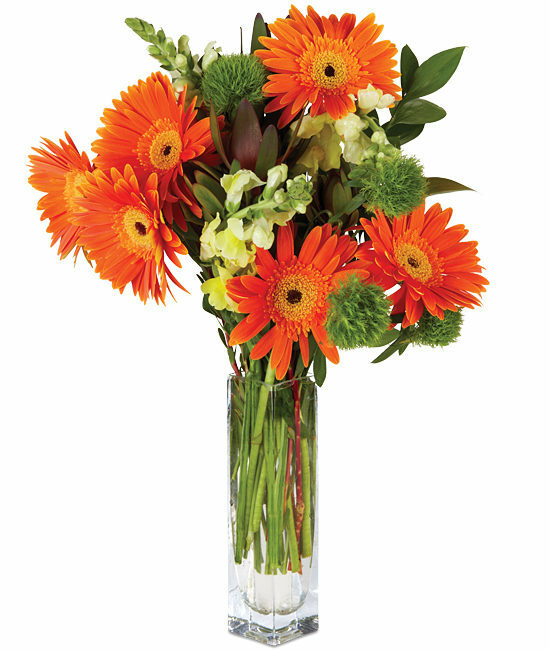 Daisies drenched in such a rich shade of orange are a bright idea for any occasion, be it a lot of fun or a bit more formal. Fanning out among other favorites like yellow snapdragons, dianthus, ruscus, and safari sunset leucadendron, these charmers are cheerful and happy and worry-free in both appearance and personality. We should also mention they cast quite a reflection in our signature glass vase. Gently remove the protective netting from each blossom; the petals will gradually unfold to their full state. Fill vase with 5 to 6 inches of water depending on its height. The fuzzy stems of the gerbera daisies decompose quickly in deep water. To make sure the stems stand straight, support their heads while rehydrating. Bending is a natural attribute of the gerbera. Don’t be afraid to cut! 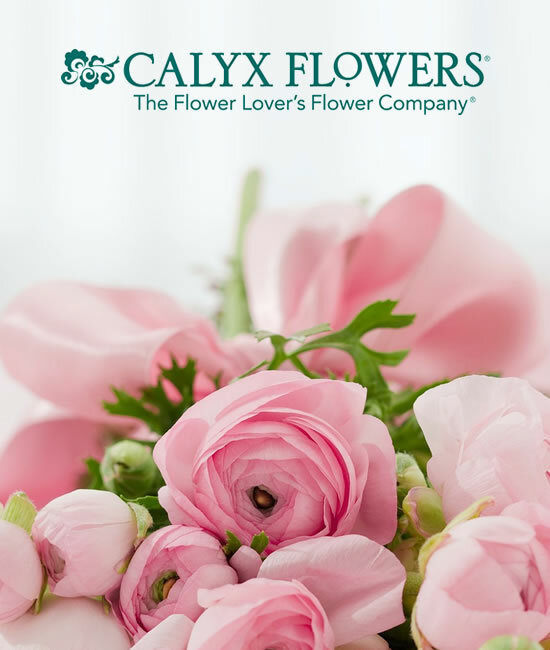 Your bouquet will look good with the different varieties in varying lengths. Always add fresh water daily. Change water at least every couple of days. Cloudy or discolored water can indicate decomposition and bacterial growth.